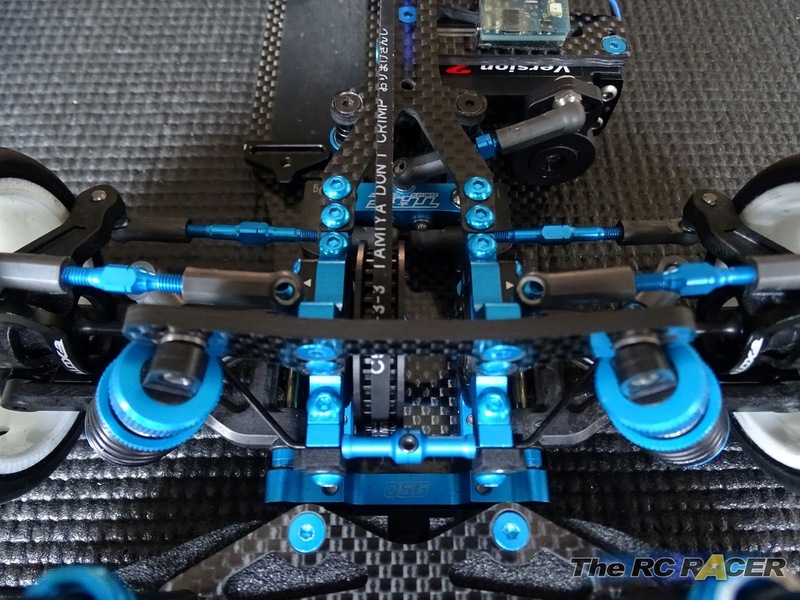 Exotek are renowned for their tuning parts including the EXO-6 chassis conversion for the Tamiya TBEvo VI. 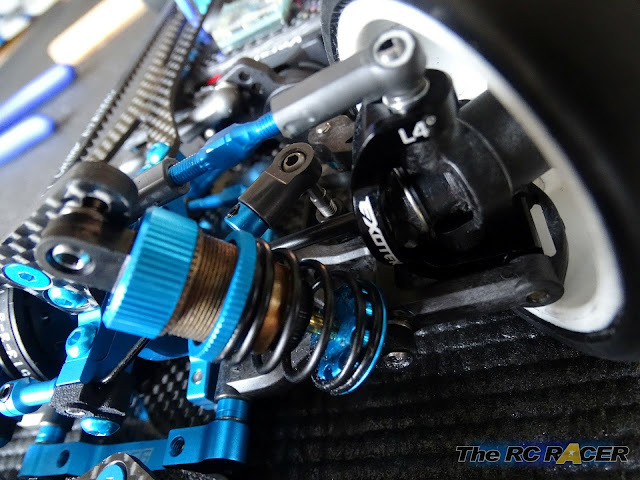 So when they announced that they had some replacement C Hubs for Tamiya's on road cars, many drivers were keen to get their hands on them. So let's have a closer look. Why replace the kit parts? 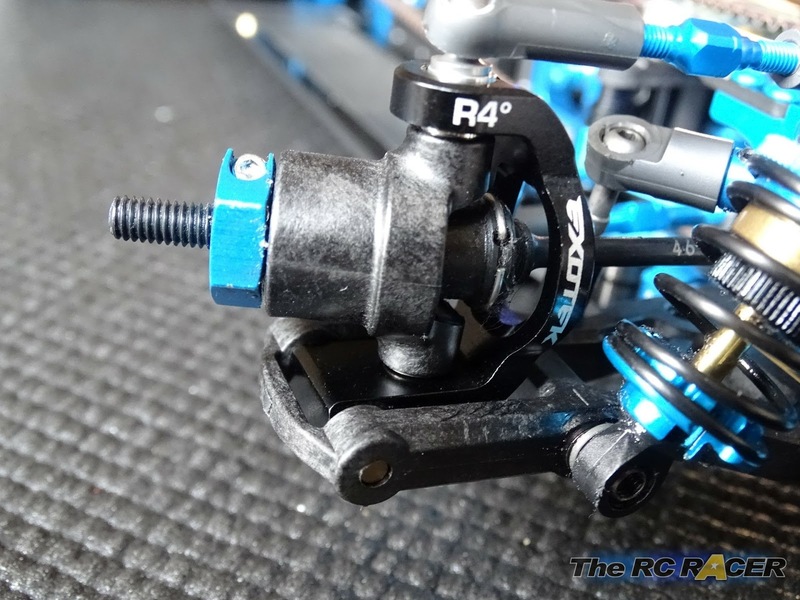 Tamiya revised the C Hubs around 3 years ago to stop any binding with the double cardan joints and to allow a different outer roll centre height adjustment. The new Tamiya hubs work well, but they are not as strong as the ones they replaced. So Exotek have stepped in with their aluminium alternative to eliminate any breakages at the track. The hubs are made from heavy duty 7075 aluminium and look to be well machined and finished in a shiny black anodising. They have markings that show which side they need fitting and the ackerman angle (4 degrees the same as the kit hubs). 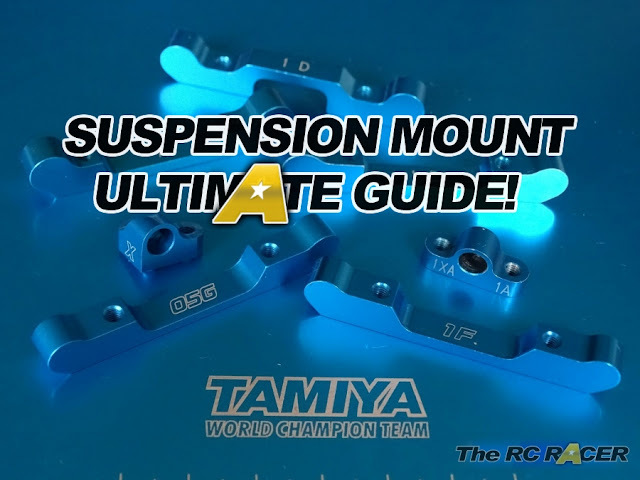 They weigh 4.6g each, which is approx 2g heavier than the equivalent Tamiya plastic hubs. So you are adding a little more weight to the front of the car. 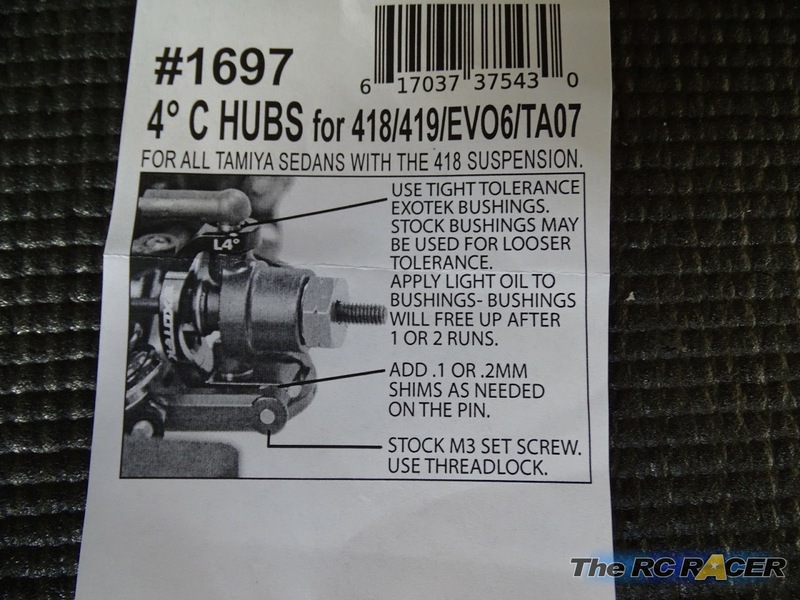 The kit also includes 4 bushings, and fitting instructions, so let's pop them in the car. As you would expect it is a simple job to swap the parts over. At first I just checked how tight the suspension pin would fit, and it was nice and tight. In fact at first it was very snug indeed so I had to put a bit of weight on the pin for it to slide all the way through. This is good as you do not want any slop. Talking about slop I was keep to see if the included 'tight tolerance' bushings were going to eliminate some slop. 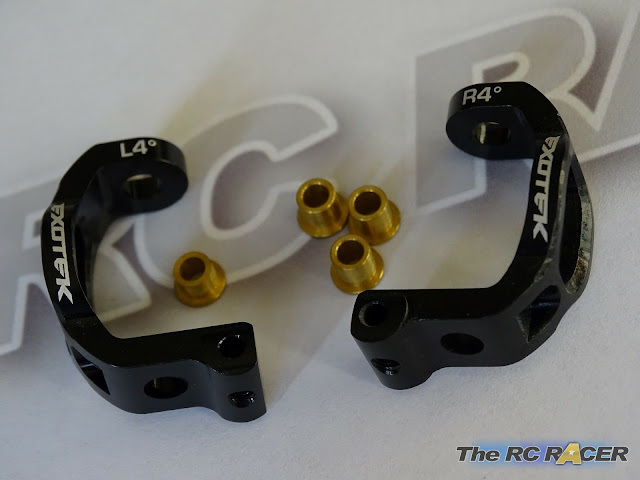 Strangely they are all the same length (4.8mm) unlike the kit bushings (3.9mm upper and 4.4mm lower). So these are not direct replacements for the kit ones. It is not much of an issue for the lower bushing, but the upper one will affect your roll centre settings. I was curious to see how tight their tolerance was, so I mounted some for a wiggle test and there was not any noticeable difference from the kit TRF bushings which I then installed. I have used the hubs on the car, and as as you would expect there is no difference in the way it handles. So the main benefit is that they do not have the potential to shatter like the normal plastic C-hubs in a hard collision. However here is my dilemma. The purist in me baulks at ever running aluminium parts on the suspension arms, as whilst they might not break, they will slightly bend, and ruin how the car handles. So if you are just about keeping the car in one piece then try these, if you care about a car that will always be consistent and you race at a good standard, I would suggest you keep running the plastic hubs. 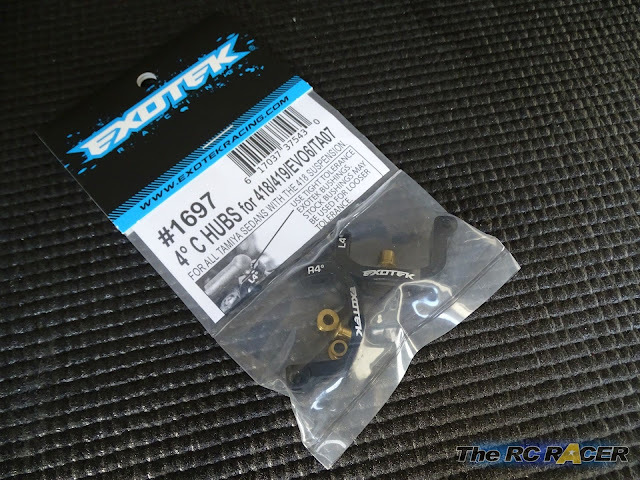 Exotek has a good reputation and these parts will be a lifesaver for some, and as long as you keep checking them after a heavy crash these could be a worthy investment.